This coming Monday, March the 9th, Apple is expected to reveal more information about the Apple Watch in their “Spring Forward” event. The Michael Report previously reported that Apple also plans to unveil the long-awaited Retina MacBook Air at the same event after talking to multiple sources… but if you’re more interested in the Apple Watch bit, then you’re in luck! To be sure, no one who isn’t working for Apple currently knows how much the Apple Watches will retail for… but we now know enough to make come up with a couple (educated) predictions. There’s one thing we know for sure right now: the cheapest Apple Watch, from the Sports Collection, will cost $349. The Sports Collection is meant to be the mass-market version of the Apple Watch – it will feature the same software as the most expensive Edition Collection Watches, but it will come at a very accessible price point. The reason for this is obvious: with the Apple Watch, it’s easier than ever to see who is rich and who is poor – what color are their Watches? The only thing that unifies all the Watches together is the software – this means that people who decide choose the cheaper Watches will get the same experience as those who could afford the more expensive versions. So if the Apple Watch Sports Collection starts at $349… how much will the rest cost? Note: we’re going to exclude the price of the bands (which comes in leather, metal, etc.) for now to prevent things from getting too complicated. For now, let’s just focus on the Watches themselves, without any accessories. But that pricing structure doesn’t make any sense: the Edition Collection, which Apple executives have confirmed to be made out of pure 18-karat gold (as opposed to the cheaper plated alternative) costs way more than $1000 for the raw material alone, stripped of any technology. In other words, the gold used in the Edition Collection – as scrap metal – is going to cost more than $1000, and potentially much, much more. Apple is a profitable company – it just simply won’t make the product if it thinks it can’t profit from it. Therefore, this theory is out. The next theory is slightly more reasonable… although I don’t think it is the one Apple is going to go with, if only because it knows that it can charge more. So, the theory goes that if the lowest cost Apple Watch Collection is going to be priced at $349, then the next one up the ladder could cost around $749… roughly twice the cost of the cheapest version. Our prediction is that the mid-level Apple Watch Collection is going to cost above $500, but less than $1000 (this is the perfect price point for people who aren’t willing to spend more on the Watch than they would for a new iPhone). Since the Watch Collection is going to cost roughly twice of the Sports Collection, then it would only be natural for Apple to charge roughly twice of the Watch Collection for the most expensive Edition Collection… that price comes out to $1499. Once again, this is way less than the going price for gold right now ($1200 per ounce). Although this theory is way more likely than the previous one, it still means that Apple is going to lose money on some of the Collections they sell. This is the last theory – and the most likely. But as you can see, the prices have gotten progressively higher with each theory… so this is the most liberal one yet. Under this price structure, the Apple Watch Sports Collection is still going to cost $349, the Watch Collection is going to cost $999 and the Edition Collection is going to start at $9,999. This pricing structure, more so than any other, would validate Apple’s oft-repeated media statement: the Watch isn’t meant to compete in Silicon Valley, but rather, Switzerland, where decent gold watches often cost upwards of $30,000 and the cheaper leather strapped versions starts at around $5,000. In a way, Apple’s pricing of the Apple Watch to compete with Rolex and Patek Philippe (and the like) may be its form of earning legitimacy in the watchmaking world. People wouldn’t want to buy a Rolex if it didn’t cost $30,000. It is Rolex because it costs $30,000. Now, let’s talk a little bit about the variations. All Watch Collections are offered in two sizes, 38mm and 42mm (for the ladies and gents, respectively). Since the price difference (following the most likely pricing structure) in the different Collections are just so huge, this may be Apple’s way of letting the customers think that they have a choice… by giving them some variety (albeit very limited) to choose from. Our prediction is that the 42mm is going to cost $100 more than the 38mm (just like how the iPhone 6 Plus is $100 more expensive than the iPhone 6, the iPad Air 2 is $100 more expensive than the iPad Air, the iPad mini 3 is $100 more expensive than the iPad mini 2, etc.). That pricing structure would make sense for the stainless steel and aluminum materials (of the Watch and Sports Collections respectively), given that Apple can usually force manufacturers to produce them at lower-costs since Apple is, well, Apple. However, the same pricing structure won’t work for the Edition Collection (there’s really only so much you can – or even a huge company like Apple can – drive the price down of gold). A reasonably guess would be that for the Edition Collection, the 42mm watch face is going to be around $300 more expensive than the 38mm. The bands shouldn’t cost more than $300 for the most expensive option, so don’t forget to factor that into your budget for the Apple Watch. We recently learned that Apple has a patent filed on the 4th of June 2014 that would enable them to make 18k gold that, on a volume basis, has got less gold than a regular 18k gold. If this sounds complicated, it’s because it is. It’s because Apple’s gold is a metal matrix composite, not a standard alloy. Instead of mixing the gold with silver, copper, or other metals to make it harder, Apple is mixing it with low-density ceramic particles. The ceramic makes Apple’s gold harder and more scratch-resistant—which Tim Cook touted during the September announcement—and it also makes it less dense overall. The karat measure of gold is based on the mass fraction. One hundred grams of 18k gold has 75 grams of gold and 25 grams of other material. If that “other material” is a low-density ceramic, it takes up a bigger volume than if it’s a high-density metal. Because the casing of a watch is made to a particular size (i.e. volume), not to a particular weight, the Apple Watch will have less gold in it than an 18k case made of a conventional alloy. What this means, in effect, is that Apple will be able to produce an 18k gold watch for less than what other watch manufacturers are able to. This could also mean that the Edition Collection will retail at around $5,000 instead of the $10,000 figure many are floating around. You can read the patent Apple filed here if you’re so inclined. All these theories are great… but most analysts are hung up on the Edition Collection’s pricing. The Edition Collection – when released – will be the most expensive product post-Steve Jobs Apple has ever sold. Maybe people want to earn the distinction that they’ve owned the most expensive product Apple has ever sold. But it doesn’t make sense. In a sentence, here’s why: the Edition Collection isn’t marketed to people like you and me. That is, unless you wear a Rolex every day to work. I certainly don’t. “By selling a device for the wrist, Apple is trying to appeal to a wide range of consumers, from high school students to senior executives. 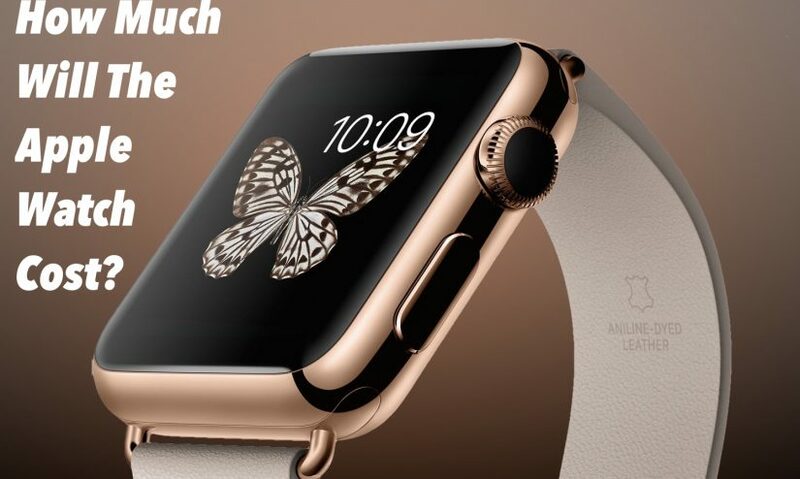 In such a scenario, price is only one piece of the puzzle as Apple positions Apple Watch as both a mass-market good and luxury item. Tim Cook and Jony Ive have been quite clear from the start: Apple Watch is the most personalized device Apple has ever made. Apple’s goal to make wearable products required taking a different page from the old product playbook. Personalization was crucial as different options based on color, material, and style were required. Apple priced the entry-level Apple Watch Sport collection to be a mass-market good, attainable for mostly anyone willing to spend money on an iPhone accessory for the wrist. Prices will likely rise to thousands of dollars for the Edition collection to appeal to the consumer who wants a well-crafted device serving as a luxury status symbol. It really doesn’t matter what price the high-end models cost as Apple’s strategy will be the same: segmenting the market between mass-market and luxury. On Monday, odds are that Apple executives won’t spend more than 2-3 minutes talking about the Edition Collection’s pricing… that’s if they bring it up at all. Apple doesn’t want customers to focus too much on the Edition Collection (the company as a whole tends to be very sensitive towards market segmentation with the exception of the iPhone 5S/5C… which is why you don’t see the different storage versions displayed prominently on the iPhone or iPad) because it knows that the Collection will be priced out of most people’s budget. By focusing too much on the Edition Collection’s pricing, we’re missing out on Apple’s overall marketing agenda for the Watch: there’s one for everybody, from high school students to CEOs.